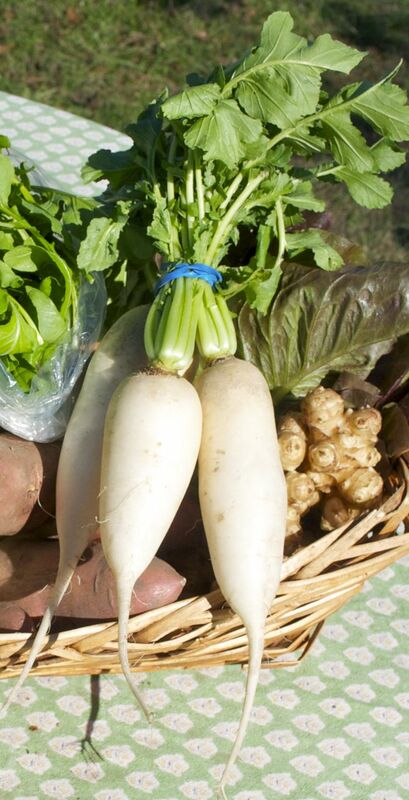 Wondering what to do with all of those daikon radishes in your CSA this week? Daikon radishes make a great substitute for onions. You can dice them and use as you would onions in most recipes. Onions are one of the most common triggers for people with digestive problems. If you are cooking for someone who is sensitive to onions, daikon will likely be better tolerated while still adding a nice flavor. This cool weather is a perfect time to caramelize a couple of diced daikon to start off a pot of your favorite chili. Let us know what you made with daikon in the comments!